It has long been accepted that Sir Edgar Speyer was the most obvious target for Beresford’s words. The guest blog that follows has been written by Tony Lentin, the author of a new book on Speyer. We should bear in mind that Sir Edgar Speyer was by no means the only German-born Briton to be treated in this way, though his profile was higher than most. Without Sir Edgar Speyer, there would be no London Underground and no Proms, and there would have been no Captain Scott’s expeditions to the Antarctic. 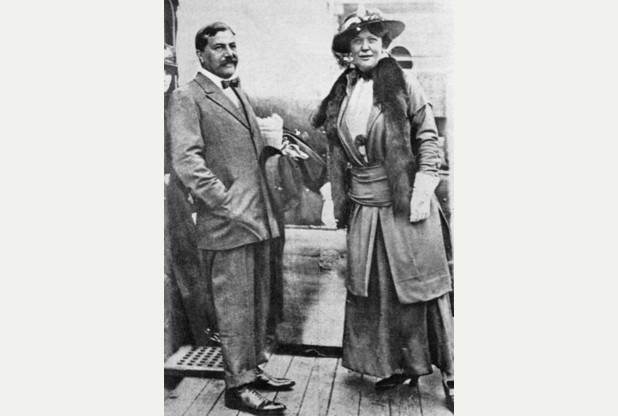 Born in the United States to Jewish immigrant parents from Germany, Sir Edgar Speyer (1862–1932) was a celebrated figure in the financial, cultural and political life of England before 1914. 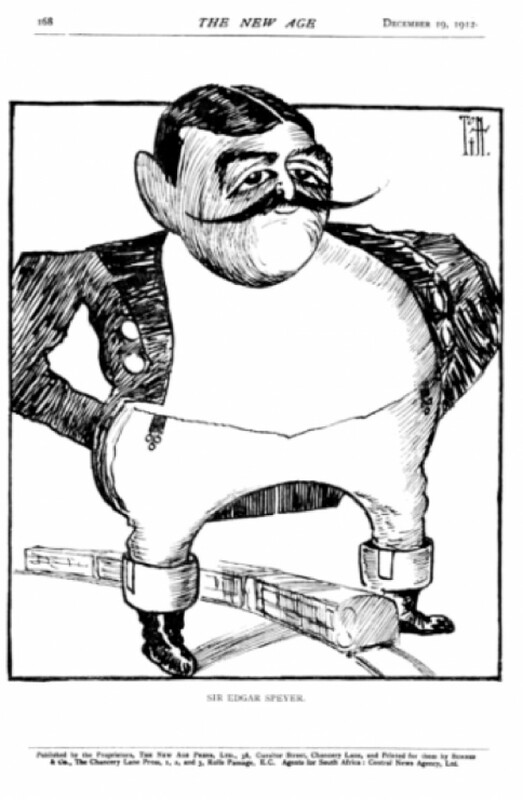 A merchant banker, he headed the company which financed the construction of the deep-level ‘tubes’. He became known as ‘King of the Underground’, subsequently taking over London’s entire transport system. It was his personal generosity in the 12 years before the war that alone saved the Proms from bankruptcy and extinction and guaranteed their accessibility to a popular audience. He was a patron of many early 20th-century composers, including Elgar, Richard Strauss, Debussy and Percy Grainger. A munificent donor to the King Edward VII hospital and many other medical and charitable causes, he co-founded the Whitechapel Art Gallery, and he raised funds for Scott’s expeditions to the Antarctic. He was a supporter of the Liberal Party, the friend of Winston Churchill and the then prime minister, Herbert Henry Asquith, and a regular guest at Downing Street – he was made a baronet in 1906 and a member of the Privy Council three years later. Among the last letters written by Captain Scott was this letter to Sir Edgar Speyer, the honorary treasurer of the fundraising committee behind Scott’s trip. 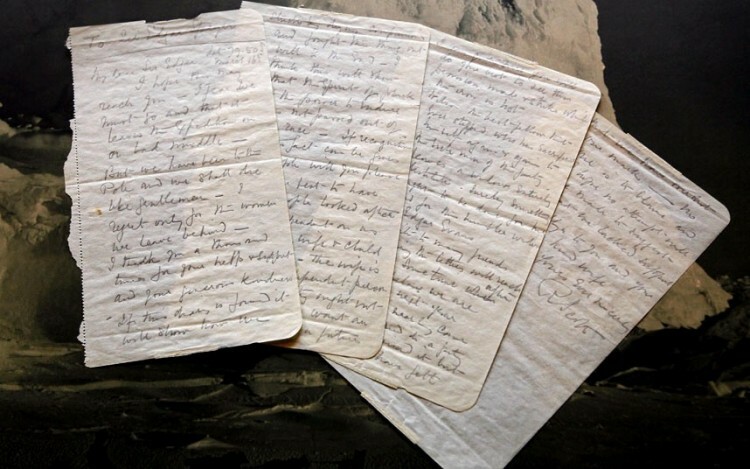 The letter, sold at auction in 2012 for £163,000, ends: ‘Goodbye to you and your dear kind wife’. On the outbreak of war, however, as a result of his German parentage and connections this remarkable man became a pariah. He was hounded out of Britain in May 1915 by unscrupulous politicians and an irresponsible press. In 1921 (by which time Speyer was in the United States) he returned to face a judicial tribunal, under the newly enacted Aliens Act, and was found guilty of disloyalty and disaffection and of communicating and trading with Germany in wartime. In his foreword to my book, Banker, Traitor, Scapegoat, Spy? The Troublesome Case of Sir Edgar Speyer, the distinguished jurist Sir Louis Blom-Cooper, QC, comments that the procedure ‘reflected no credit on a legal system that had always prided itself on protecting the individual against the might of the state’. Following the tribunal’s finding, however, Speyer was stripped of his British citizenship and membership of the Privy Council. When he died in 1932, the Morning Post described his downfall as ‘a minor tragedy of the war’. My book is the first detailed account of this unsavoury episode in British–German relations. It re-examines Speyer’s case from documents newly released, presents the evidence and invites the reader to decide whether he was an innocent victim, a scapegoat, or a traitor to his adopted country. I have campaigned for Speyer’s generous acts of philanthropy to be recognised today. I am not alone in seeking recognition for his critical support for so many British causes. In October 2014, a plaque was unveiled in Speyer’s honour at the Scott Polar Research Institute in Cambridge. Earlier this year, BBC 3 radio presenter Dr Kate Kennedy told listeners that she felt Speyer should be honoured with a statue for saving the Proms from collapse. Postscript: On Saturday 12 September this year, the Last Night of the BBC Proms, the BBC will reflect Edgar Speyer’s contribution to the Proms in the presentation on BBC Radio and Television and in the printed programme. The BBC, which took over the financing and running of the Proms in 1927, has said that Edgar Speyer exemplified ‘a spirit of patronage and public service’ that it is proud to be continuing. I have not seen the printed programme, but the BBC2 presentation consisted of the bare mention of ‘the philanthropist Sir Edgar Speyer’ in connection with Till Eulenspiegel. That was all. Rapid coverage of Proms history featured Newman, Henry Wood and the BBC. Nothing on ‘The Man Who Saved the Proms’. There will be a proper commemoration of Speyer’s contribution at two concerts this autumn: Hay Music on 10 October, and Chelsea Concerts on 9 November. Professor Antony Lentin is a senior member of Wolfson College, Cambridge, a barrister and formerly a Professor of History and law tutor at the Open University. Lentin, Antony (2013) Banker, Traitor, Scapegoat, Spy? The Troublesome Case of Sir Edgar Speyer. London: Haus Publishing.